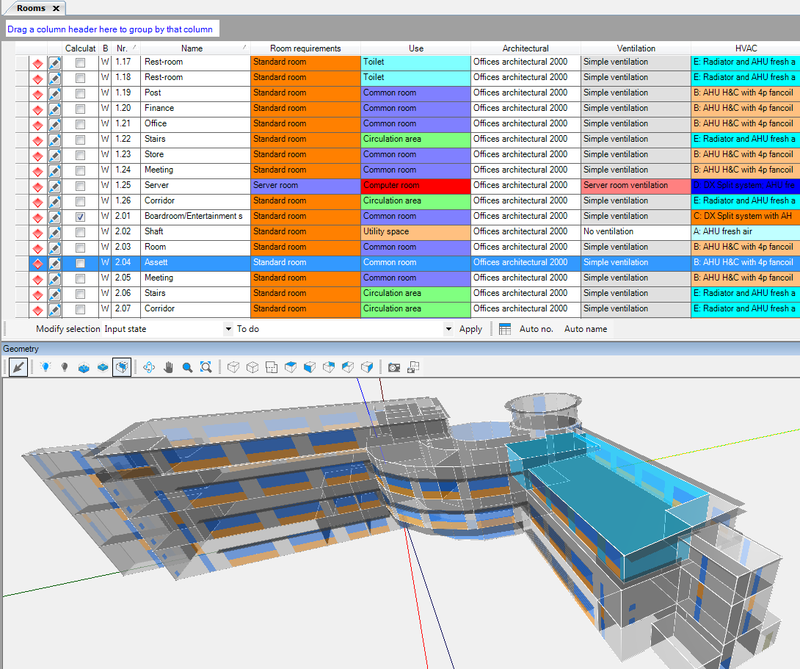 BuildDesk, part of the VABI software group, are introducing VABI Elements to the UK market. 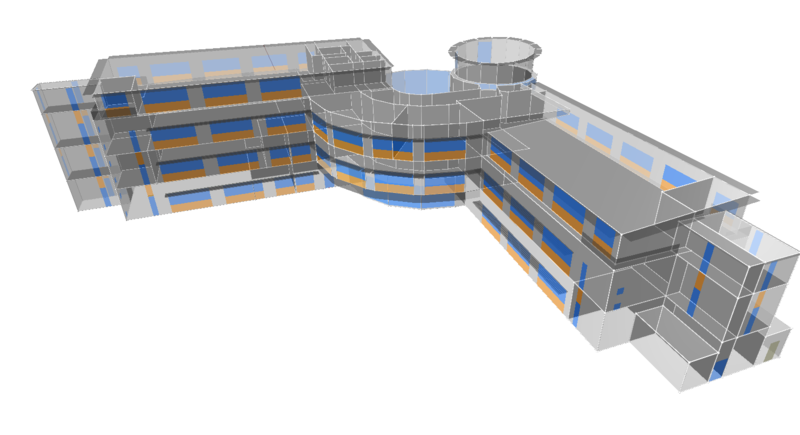 With VABI Elements software you can quickly create an accurate 3D model of a building and perform a Dynamic Simulation Modelling (DSM) calculation to assess the building’s energy performance and the thermal comfort of the indoor environment. The calculation takes into account detailed information about the building fabric and services, as well as specific details regarding occupancy levels and time schedules. The software provides a simulated environment which, in existing buildings, can be calibrated against available metered consumption data. This working model can then be used to test multiple scenarios either at a whole building, zone or room level to identify possible energy issues and improvements. The calculation uses hourly climate data files to simulate the building’s performance over a flexible, user-defined time period. You can check for periods of overheating or underheating and the demands for heating and cooling over time. Dynamic Simulation Modelling helps you to discover how your individual building is performing from energy and comfort perspectives, relative to its potential. It is common for buildings to underperform if they are not actively managed and regularly reviewed. Large savings can often be made by modelling the existing equipment and control settings and assessing the effect of changes to the control strategy. 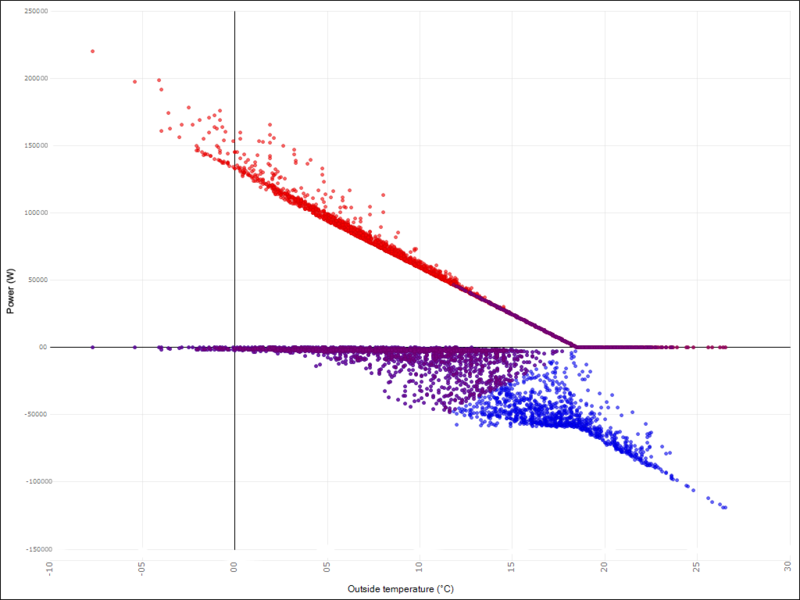 Many buildings have heating setpoints that lead to wasteful simultaneous heating and cooling. The model enables you to assess the impact of changes through simulation before committing to investments in efficiency improvements. The effects of changes to building use (such as a re-organisation of internal occupancy patterns) can also be assessed before implementation. We use VABI Elements for our Building Performance Assessment (BPA) service. The BPA uses the 3D simulated environment to assess your building’s energy performance and identify appropriate solutions to improve building performance and save you money. The BPA can be incorporated into your ESOS process, and because our methodology provides evidence for continual improvement, our approach can align with your ISO 50001 framework. We can also use your existing compliance certification such as EPCs, DECs and ACEAs as part of the work. Click here for more information on our BPA service. 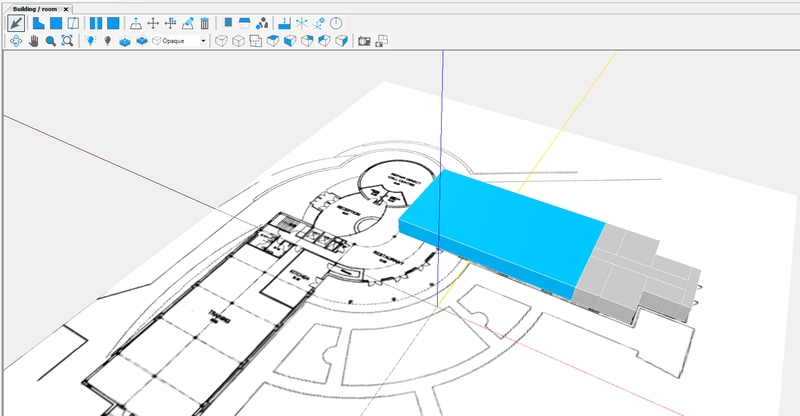 The building geometry can also be drawn directly into the project in a fully featured 3D drawing environment using the flexible integrated drawing tool. Atriums, curves, sloping roofs and split level zones can all be handled quickly and easily in Elements. 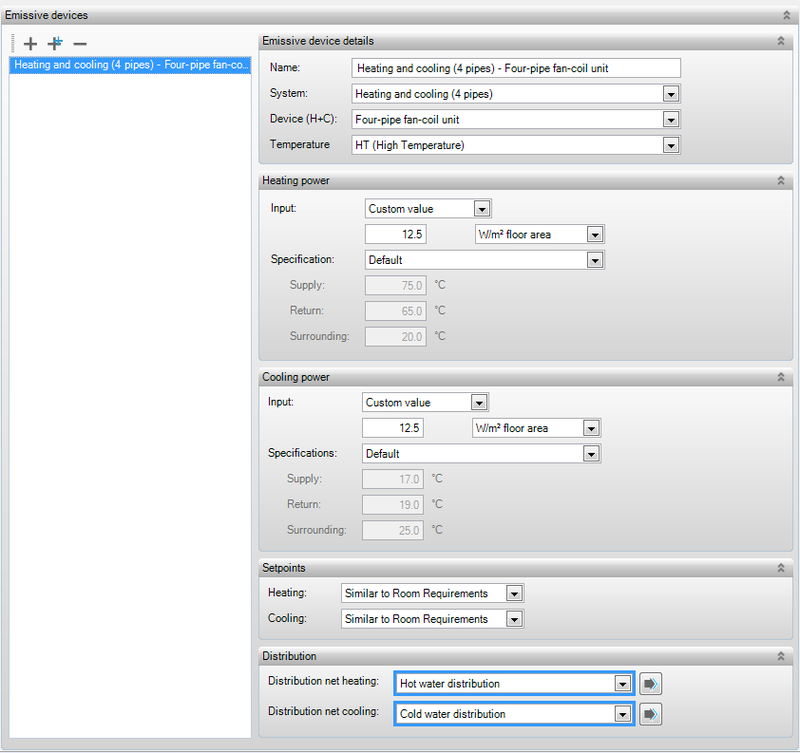 Building fabric details can be entered on a simple layer-by-layer basis. The ‘visualisation’ lets you assign a colour and texture to the construction, enabling easy recognition of each construction element when viewing the model. Complex facades can be entered accurately and multiple specifications represented. Internal heat gains can be specified in 3 categories; people, equipment and lighting. Precise details can be entered such as the activity the employees are engaged in on a room by room basis. 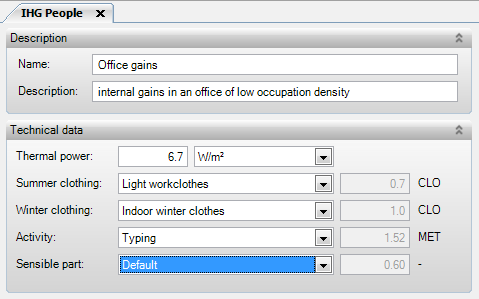 You can even assign the extent of clothing for accurate thermal comfort assessments. Emissive devices are the pieces of HVAC equipment that deliver the heating and cooling to the room e.g. radiators, or air conditioning and piping. The image above shows the emissive device details for a four pipe fan coil and the aspects of it that can be specified such as the power, and set points. The software includes a template assignment section. This is a visual way of assigning pre-defined templates to spaces in the geometry. It makes it easy to see what is assigned to each room. 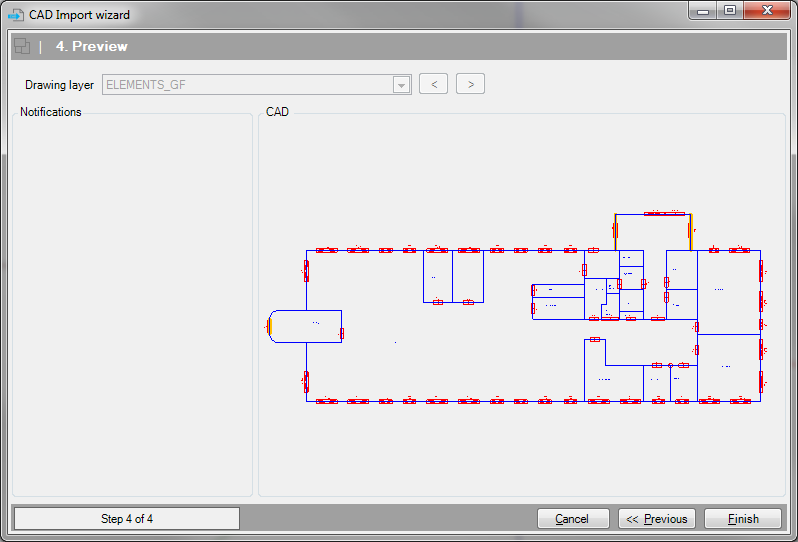 You can also use the templates to quickly assign and reassign details to multiple rooms within buildings. When all the details for a building have been entered you can run the simulation. The ‘Base variant’ is the building as it has been entered. This could be either as designed, or as currently operated. 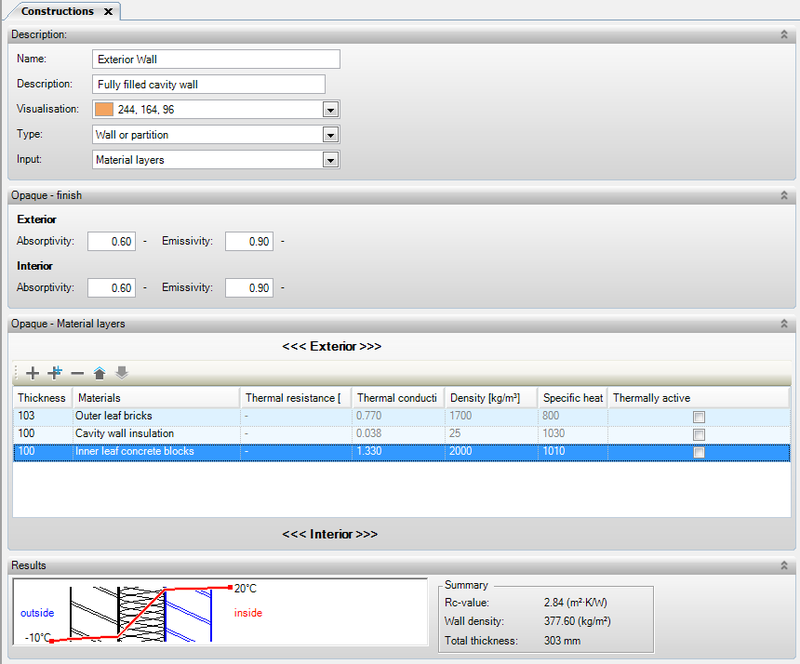 You can then run calculations on other versions of the same building. This is where the software helps you to forecast the affect that specific changes will have on your building’s performance. It also helps you assess the impact the changes will have on the heating and cooling demands and thermal comfort of spaces. 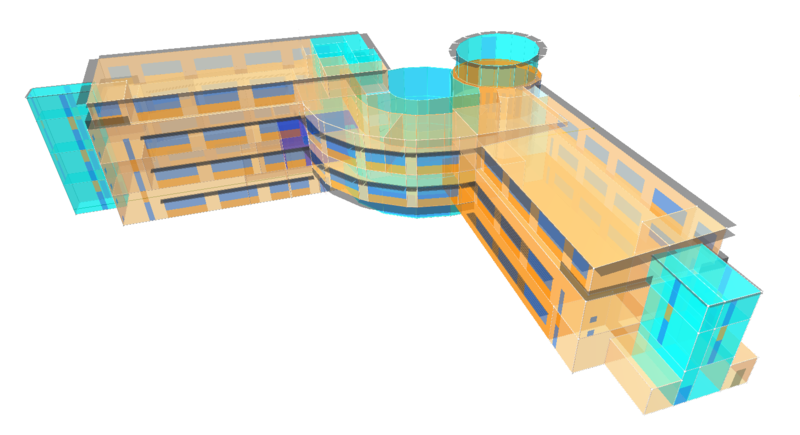 Facilities Managers of complex buildings can benefit from the 3D overview of the types of HVAC systems assigned throughout the building. You can also analyse the extent of overheating and underheating of the building and thermal comfort within a room and use the information to improve performance and reduce complaints. 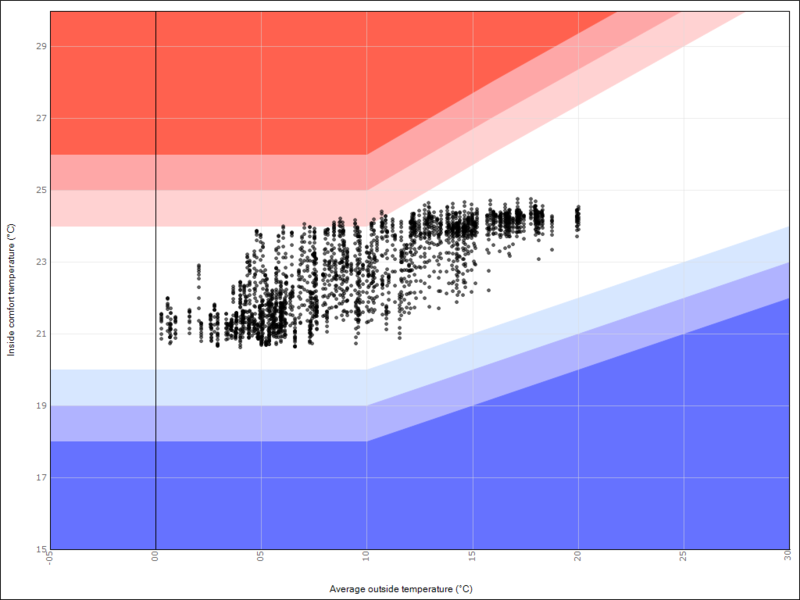 The hourly demands for heating (red dots) and cooling (blue dots) are shown in the diagram above. It’s important to establish the extent of any simultaneous cooling and heating causing wasted energy (represented as purple dots above). This is a common cause of excessive energy use in buildings. For more information on optimal heating and cooling curves click here. If you would like to know more about VABI Elements, or you are interested in our BPA service, then call us on 01275 390 533 or click here to contact us via email.